The 19-year-old actress Bailee Madison arrives for the Vanity Fair party in LA. The 19-year-old actress Bailee Madison, who began playing Grace Russell in “Good Witch” in 2015, attends 2019 Hallmark Movies and Mysteries Winter TCA Tour in Pasadena. The 19-year-old actress Bailee Madison, who played Maxine Russo on “Wizards of Waverly Place”, attends Art Show Opening Night Gala in LA. The 19-year-old actress Bailee Madison, who is the younger sister of Kaitlin Riley, attends “Anthem of a Teenage Prophet” premiere in Hollywood. The 19-year-old actress Bailee Madison in a green jacket arrives at Pearson International Airport in Toronto. The 19-year-old actress Bailee Madison, who played Maxine Russo on “Wizards of Waverly Place”, arrives at the Just Jared Halloween Party in West Hollywood. 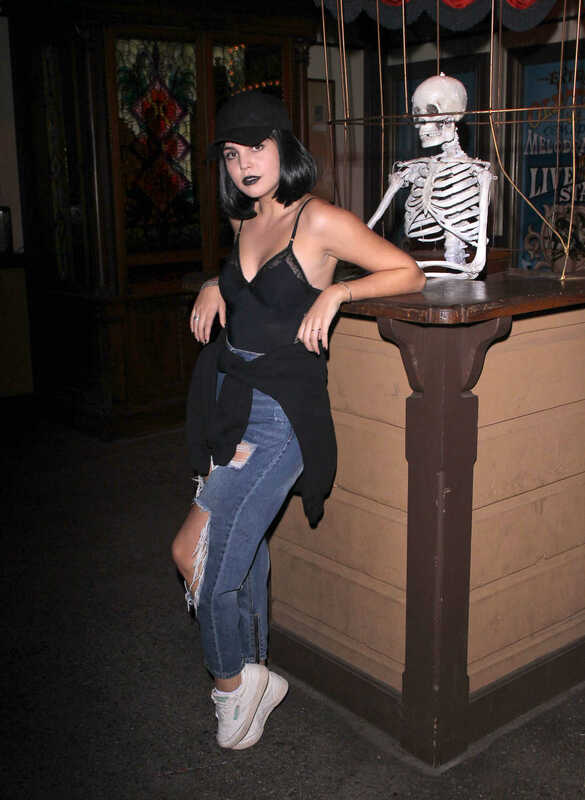 The 18-year-old actress Bailee Madison visits Knotts Scary Farm in Buena Park. The 18-year-old actress Bailee Madison, who is the younger sister of Kaitlin Riley, attends 2018 American Humane Hero Dog Awards in Los Angeles. The 18-year-old actress Bailee Madison, who began playing Grace Russell in “Good Witch” in 2015, was seen out with boyfriend on the Sugar Beach in Toronto. The 18-year-old actress Bailee Madison attends Hallmark’s Evening Gala TCA Summer Press Tour in LA.